Herbal preparations should be made fresh every day: the only exception are the herbal salves liniments, and ointments and also those preparations that are made with alcohol, such as tinctures. Eating a good, diversified diet, getting regular rest and outdoor exercise, and following the other rules for good health given on this website, particularly My System, will all be a great help in assisting the herbs do their work of restoring the normal healthy balance in the system. In most cases herbs usually don’t give rapid results as drugs do. Because of their milder action, herbs must be taken over a period of weeks or even months, depending on the condition being treated, in order to produce lasting, beneficial effects. In general, the longer the disease has been present in the body, the longer it will take the herbs to have a noticeable effect. Even though drugs may give rapid results, herbs are the better option. Every time you take a pill you move farther and farther from optimal, natural health; each drug comes with a side effect, where herbs generally don’t. It’s also important to remember that when herbal preparations are used for children, weak or debilitated persons, or the elderly, the dose given on this website must be adjusted downward to 1/3rd to 2/3rd of the average adult dose. Careless and excessive use of herbs can result in real health hazards. Taking more than the recommend dose may result in serious health consequences. For some of these preparations you will need the herb or form of herb in powdered form. Unless you know how to properly grow or find herbs, you should buy from a trusted supplier. They have herbal supplements, teas, essential oils and all other natural products that will improve your health tremendously; everything is delivered right to your door. Infusion: An infusion is usually made just like a tea. Boiling water is poured onto a certain amount of herb, usually the leaves or the flowers, in a cup or other suitable container. This is covered with a saucer or other cover and allowed to steep, in order to give the ingredients in the herb time to pass into the water. The aromatic and volatile ingredients, vitamins, and essences are removed by the infusion. The average amount of herb used is 1/2 to 1 ounce in a pint of water or 1 teaspoon of the herb in 1 cup of water. After the boiling water has been poured on the plants, let them set, covered, for about 10 to 20 minutes. Never allow an infusion to boil. After the water has cooled sufficiently, strain carefully into a cup or other container and drink when it is cool or lukewarm. Some honey may be added if desired, to improve the taste. Take the infusion while it is still hot for colds, influenza, coughs, or to produce sweating. Most infusions are taken in small doses, regularly spaced during the day, using a total of about 1 to 3 cups, depending on the condition and the herb used. When the twigs, stems, or other larger parts of the plant are used, they should be cut into small pieces and let steep for a longer period of time. Decoction: A decoction is made by simmering the plant part in water, in a nonmetal container, for 3 to 5 minutes or even up to 30 minutes if the material is very hard. Keep the container covered. Use 1 teaspoon of the powdered herb or 1 tablespoon of the cut herb to a cup of water. If you are planning to simmer the decoction for 30 minutes, always start with about 30 percent more liquid to compensate for evaporation. Strain carefully before using and directions for taking are the same as for an infusion. This method is used for extracting the active ingredients from the tougher parts of the plants, such as roots, bark and seeds. 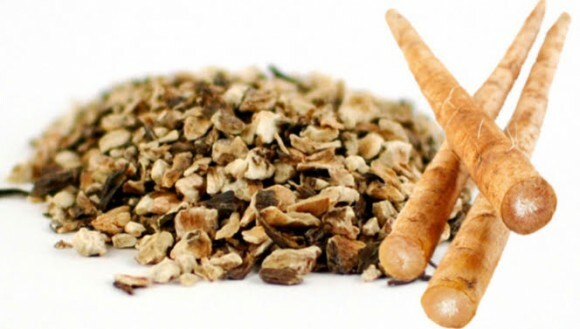 Roots must be simmered one half hour or more in order to extract their medicinal value. Simmer only; DO NOT HARD BOIL. Tincture: A tincture is a very concentrated extract of an herb in liquid form. Tinctures are useful when it is unpleasant to take the herb in another form because of its bad taste or it must be taken over a long period of time. Tinctures are also used to rub on the skin as a liniment. Tinctures are usually made from potent herbs that are not commonly used as teas. Extract: An extract is a highly concentrated liquid form of an herb, about 10 times as potent as a tincture. It is made by a variety of means such as high pressure, evaporation by heat, or cold percolation. 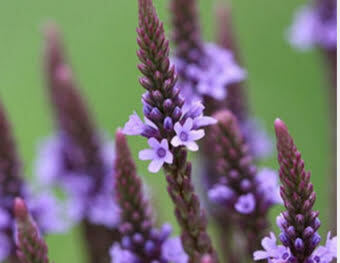 Each herb is treated in a manner that is best suited to extract its medicinal properties. Extracts are popular and convenient way of taking and storing herbs and they are faster acting than teas, capsules or powdered herbs. Herbal extracts are readily available online and the usual dose is from 6 to 8 drops. This amount is about equal to 1 teaspoon of the tincture; extracts are usually a better option than a tincture. Teas: There are general rules that should be followed when making herb teas. The usual amount of herb used is 1 teaspoon of the dried herb or 3 teaspoons of the freshly crushed herb to 1 cup of boiling water. Pour the cup of boiling water over the herb and let set (steep) for 5 to 10 minutes. To make the tea stronger, use more of the herb; do not steep for longer time as this will tend to make the tea bitter. Milk or cream added to the tea will cover up the natural flavor of the herb. In warm weather, herb tea must be made fresh every day to prevent souring. It can be kept longer in a refrigerator, but not for more than one week. How much to take? Good judgement must be exercised in the amount of herbs taken, usually four cups a day – one cup an hour before meals, and one cup upon retiring. Each person has a different constitution; therefore, if good results are not obtained by taking as directed, increase or decrease as may be best. For instance, if the herbs are not laxative enough, increase the dose; if too laxative decrease the dose. You can buy most herbs prepared in tea bags, either as a single herb or in various combinations. Some feel that the bag filters out the delicate flavor of the herb. You may wish to try both methods to see which one you prefer. When using a tea bag, it should be placed in a cup and boiling water added. Cover and let steep for 3 to 5 minutes. Never use aluminum pans. Granulated or finely cut herbs: Steep a heaping teaspoonful of herbs in a cup of boiling water for 20 minutes, strain and take one cup one hour before each meal and one cup upon retiring. You may take more or less as the case requires. If too strong, use less herbs per cup. Powdered: The powdered herbs may be mixed in hot or cold water. The herbs take effect quicker if taken in hot water. Use 1/2 teaspoonful of the herb to 1/4 glass of water. Follow by drinking one glass of water, either hot or cold. This is about the same as taking one No.00 capsule. Capsules: most herbs may be purchased in either powdered or capsule form. The average dose is 2 capsules, 2 or 3 times a day. Whichever form you decide to use, capsules or powder, follow the directions as given on the container. A No.0 capsule contains about 10 grains of the herb, while a No.00 capsule holds approximately 15 grains. Notice that a No.00 capsule does not contain twice as much material as a No.0. this is a great post! I always hear good things about herbs but never really knew where to start or how to take them. Your post walks me through the options and makes it a bit less intimidating. That is awesome!! Do you have a recommendation on herbs that could help an autoimmune muscle disease? There are literally dozens. Id recommend burdock. Fascinating site. I will be back to read more. I am intrigued about how the deep breathing caused health problems for you. Could you do a post on that? Also, I am a firm believer in herbs however, I think you need to stress that they are powerful medicines. I know you say it but say it more often! and bigger. People think that because it’s an herb they can take as much as they like or that combinations don’t matter. Herbs are not to be taken like a one-a-day vitamin. They are medicines, for specific problems and a little education is necessary. So your site is really good as it fits that need. Just remind people a little more often please! 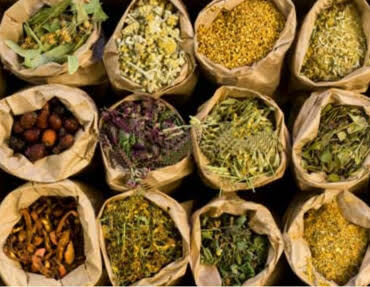 health is important and my personal experience is that herbs are healthier than doctors. this is very good information and important to people to know. there are herbs that help fight cancer. and there is always something new to learn about herbs. thank you Dylan for your time to help people. Herbs truly are a gift for health. There’s herbs for every disease and sickness, including cancer. More people should know about their power and how they heal. Thanks for taking the time to comment. what fantastic and fabulous article and very detailed on how to exactly prepare and use herbs. This site is an awesome resource I will be visiting often do you have RSS feed or email where I can get instant updates zapped straight to me? Keep the top class info coming? Wow, and here I just thought that herbal tea was the way to get the benefits of healthy herbs! Move over herbal tea, there are so many more approaches! Your informative article has given me such a good basic education into the preparation and use of herbs, thank you! I will bookmark your page for later use! Cheers! Thanks! And beleive it not there are even more ways like syrups and poultices. Teas are a great way to get beneits but there are other convenaant ways too. Thanks so much for your sharing. Very informative but easy to understand. I always know herbs are good, but just don’t have any idea where to start and how to manage. The herb tea is definitely something I’ll be interested to try as it’s just so easy to do. This is a lot of information about the various ways to use herbs. I’ve only ever used them as a tea or when cooking food. I did try to grow some, but wasn’t sure if I was doing it right, so I didn’t eat any. I do find the teas really good. One of my favorites is chamomile and lavender. I have a problem with insomnia sometimes and it is very helpful to make me sleepy. I never realized that I should use more to make it stronger and not just steep it longer. That is a good tip. I’m glad you found this information useful. 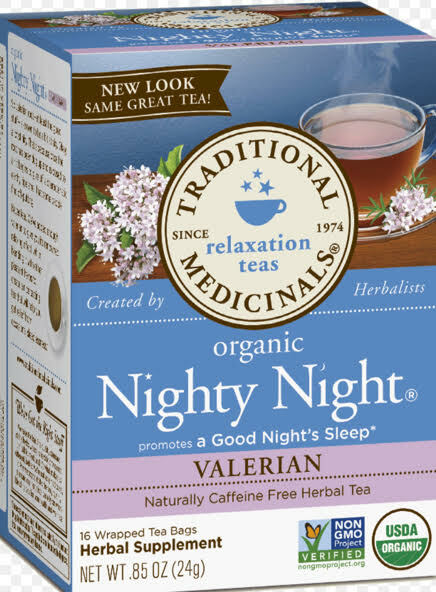 There are many herbs that can help with your insomnia and chamomile and lavender are two really great opiotns. Valerian is another great one. Thanks for commenting! The island I live on is a natural pharmacy because we have so many herbs – you can find something for almost everything. I like that you explain the various ways to prepare the herbs. I have shared it because i think it will be useful to others.